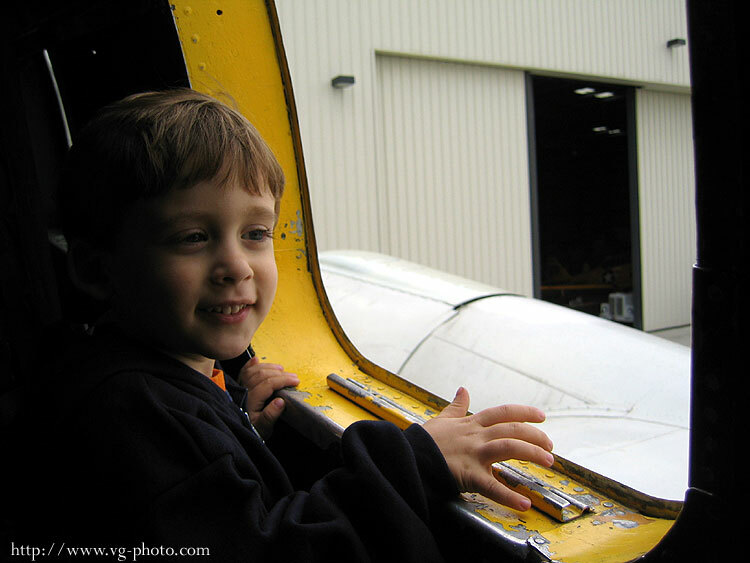 Children and airplanes can be a challenge to shoot, but the results can be fantastic. 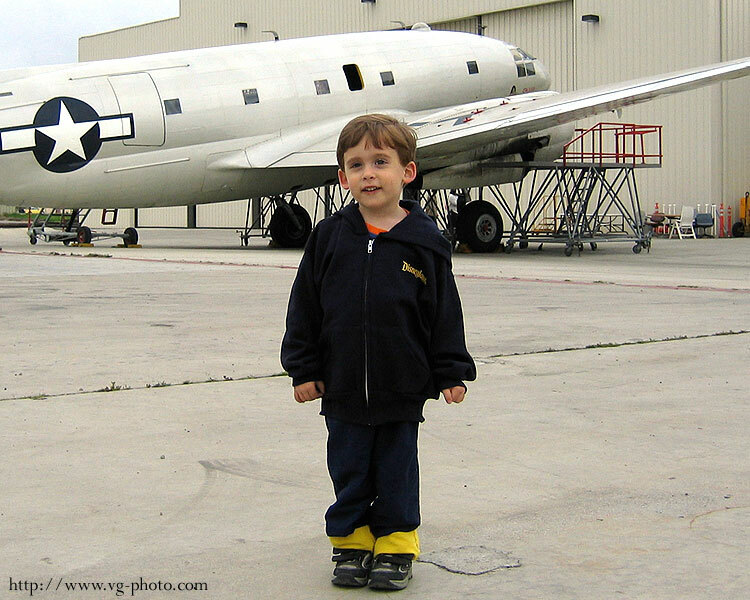 The shots below I took of my son, outside and inside the Curtiss C-46 Commando "China Doll" at the WWII Aviation Museum at Camarillo. 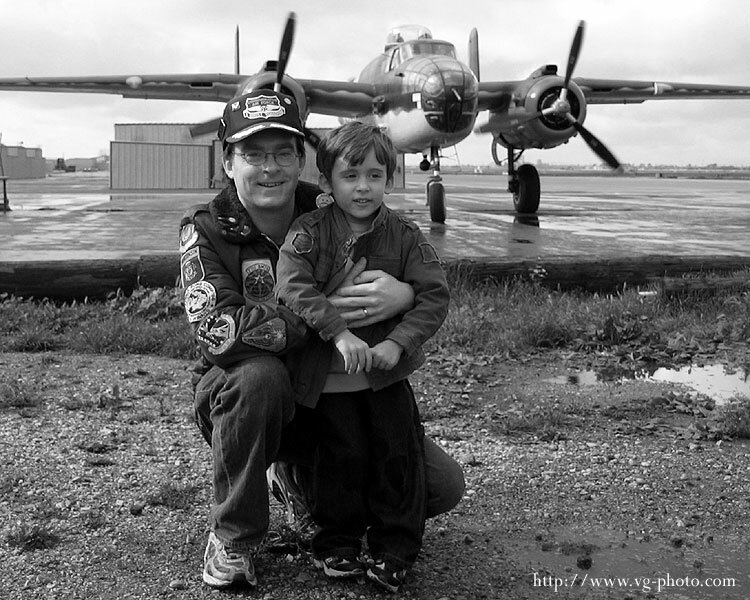 Here is a shot of Jacob converted to sepia. 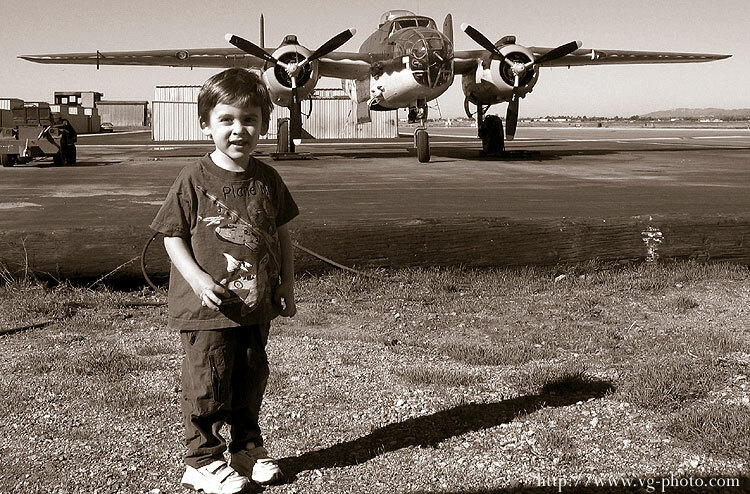 He is standing in front of the B-25 "Executive Sweet". In the second shot Jacob and I had a fellow aviation fan snap our picture while Executive Sweet was warming up for a flight. 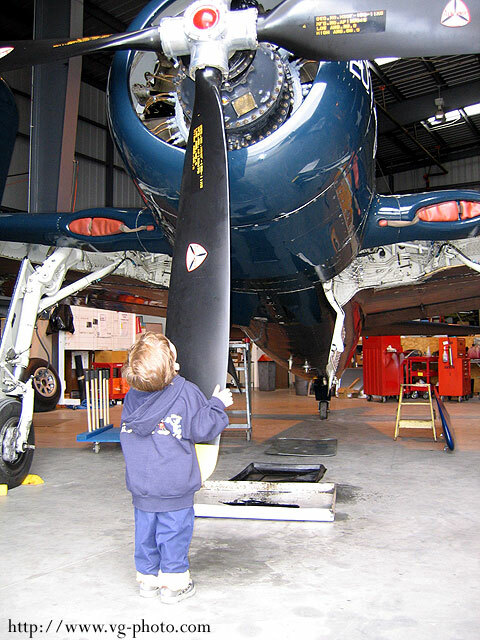 Another shot of my son in the WWII Aviation Museum at Camarillo. 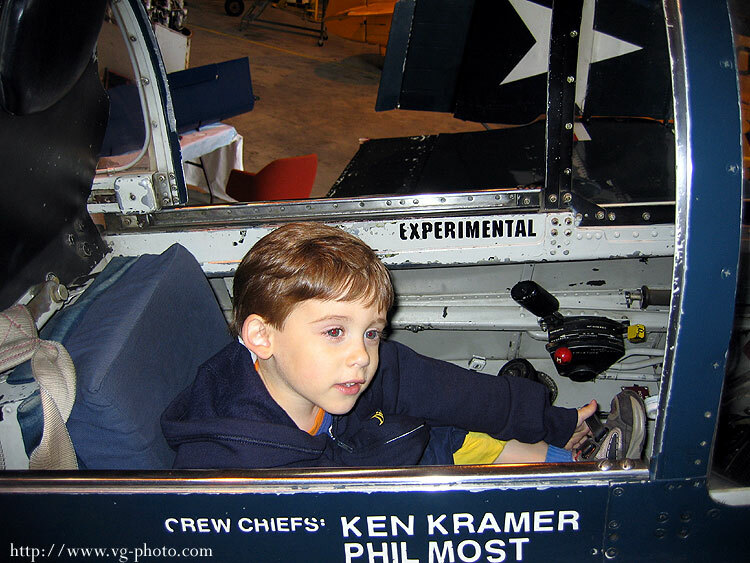 Here, he is in front of the Grumman F8F-2 Bearcat. I titled this shot "Someday". 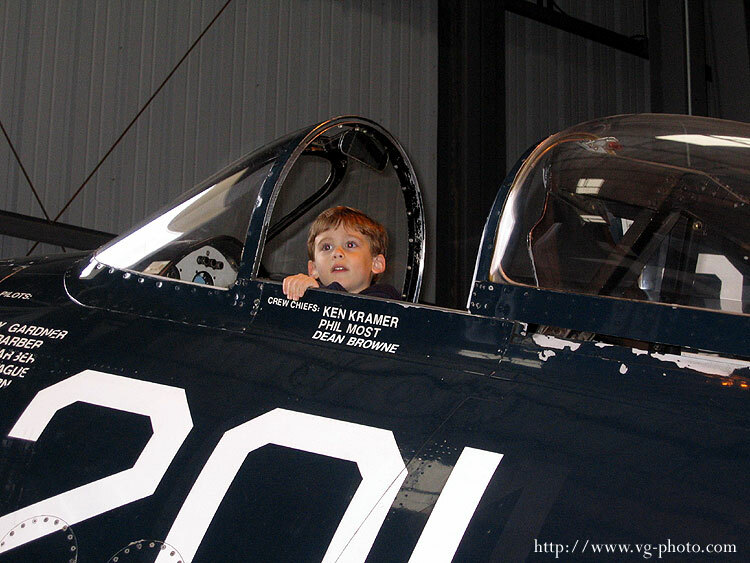 That someday got a little closer as he got to sit in the pilot's seat of the Grumman F8F-2 Bearcat. Lucky boy, Even I have not had a chance to sit there! 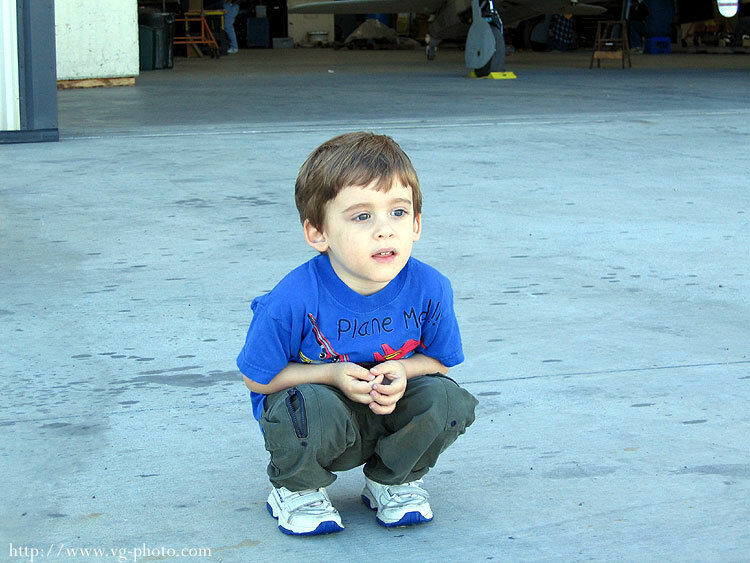 Jacob lost in thought as he watches airplanes pass by on the taxiway. 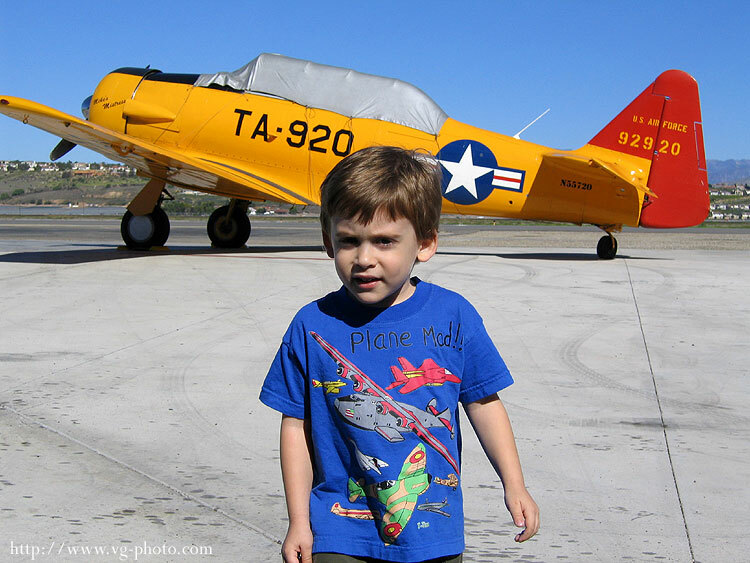 Looking like a young cadet in front of a North American AT-6 Texan trainer. 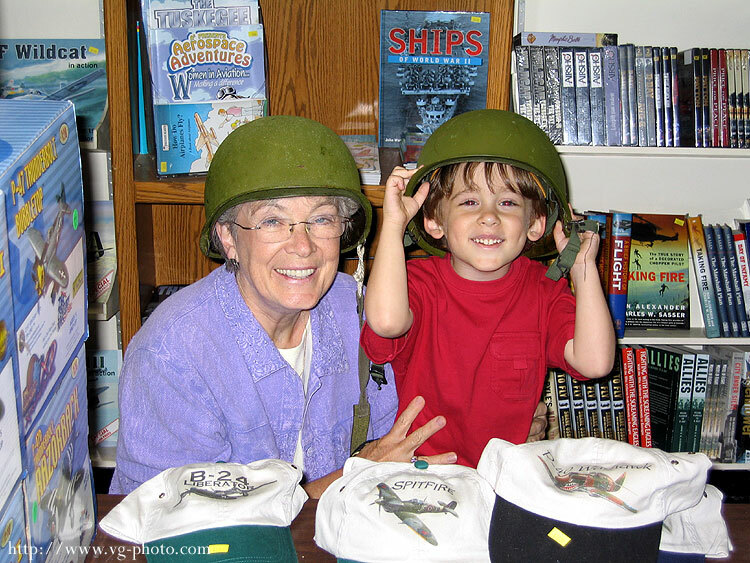 Jacob and his grandma Van try on the stylish "steel pot" helmets from WWII. Aren't they the bees knees?! 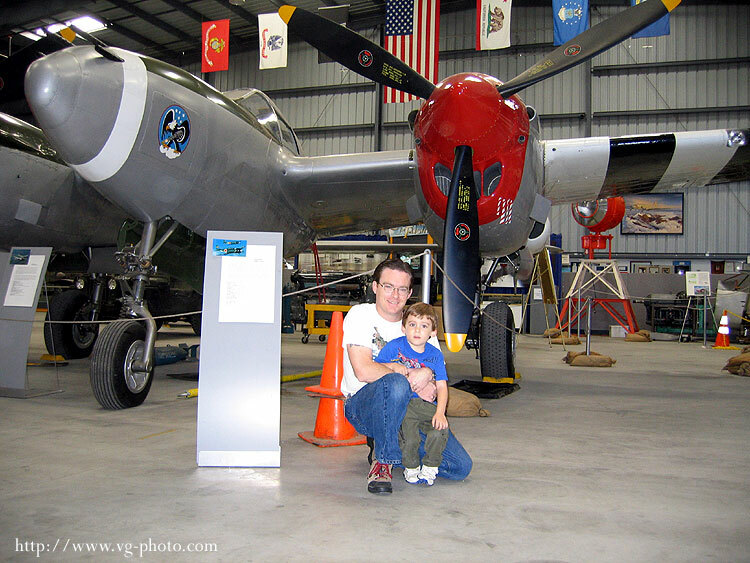 In the first shot, we are in front of the Lockheed P-38L Lightning. 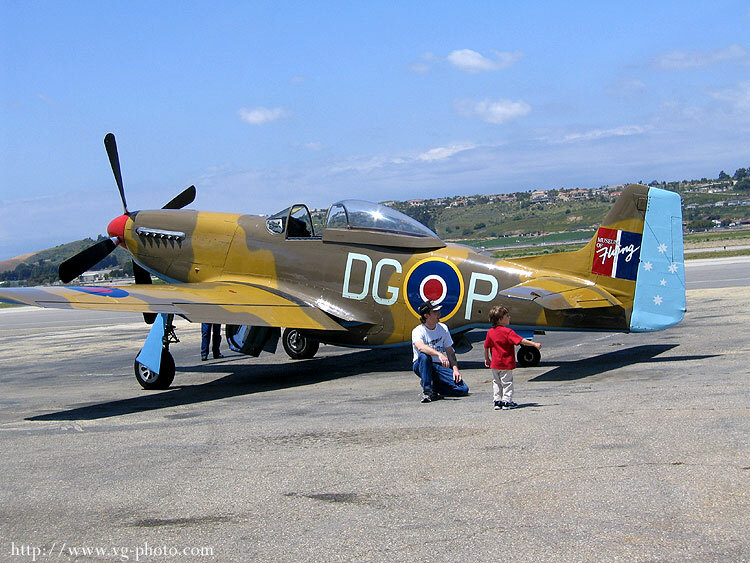 In the second shot, we are in front of the North American P-51D Mustang "Cottonmouth".